Despite involving only a relatively small number of sites, estuaries collectively represent the most important habitat for wintering waterbirds in the UK. They are also inherently different from the thousands of inland sites counted for WeBS. The influence of the tide means that the birds have to be much more mobile, both within and between sites. WeBS Core Counts on estuaries have, in general, been based around high tide roosts. Although important in themselves, roost sites are usually secondary in importance to the manner in which waterbirds make use of a site for feeding. Therefore, information gathered about these sites at high tide will only provide part of the picture. The WeBS Low Tide Counts scheme, which was initiated in the winter of 1992-93, aims to monitor, assess and regularly update information on the relative importance of intertidal feeding areas of UK estuaries for wintering waterbirds and thus to complement the information gathered by WeBS Core Counts on estuaries. WeBS Low Tide Counts provide the crucial information needed to assess the potential effects on waterbird populations of a variety of human activities which affect the extent or value of intertidal habitats, such as dock developments, proposals for recreational activities, tidal power barrages, marinas and housing schemes. The data gathered contribute greatly to the conservation of waterbirds by providing supporting information for the establishment and management of the UK network of Ramsar sites and Special Protection Areas (SPAs), other site designations and whole estuary conservation plans. In addition, WeBS Low Tide Counts enhance our knowledge of the low water distribution of waterbirds and provide the data that highlight regional variations in habitat use. 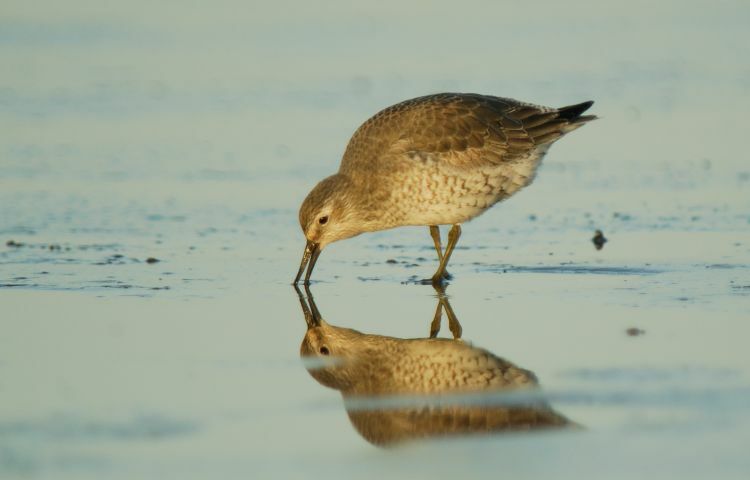 In particular, WeBS Low Tide Counts should help us to understand, predict and possibly plan for compensation for the effects of sea-level rise on the UK’s internationally important estuarine waterbird populations.